Born and reared in Aill na Brún, near Cill Ciaráin in Conamara, Seosamh is marriued to Treasa ní Loideáin of Roisín na Mainíoch, Carna. They have four children. He works with Raidió na Gaeltachta, a station he was instrumental in setting up. His involvement in community affairs in Connemara and Aran goes back to the foundation of the Gaeltacht Civil Rights Movement in 1969. Founding member of the Gaeltacht Civil Rights Movement. He believes Galway County Council needs a wake-up call from Connemara. 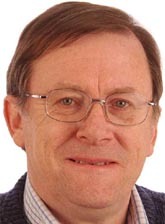 Elected Independent member of the Údará na Gaeltachta. 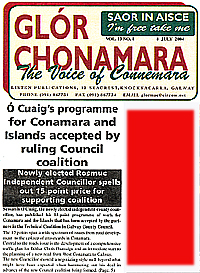 1999 Election Report - "There was no doubting who was most pleased on Sunday, however, as any number of recounts was never going to upset Independent candidate Seosamh Ó Cuaig whose first preference vote took him to second place on the table and almost elected him on the first count. As it was he took the second seat." 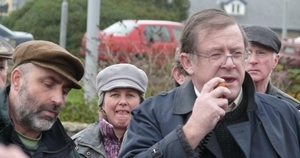 Elected to Galway Co Council in 2004, re-elected 2009. Galway Co Council: Councillor (2004 and 2009) Thank You! 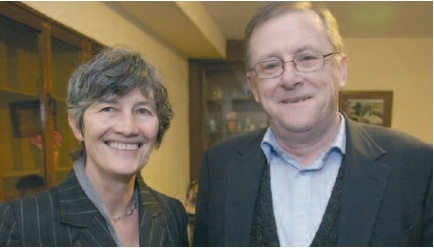 Seosamh Ó Cuaig supports City Councillir Catherine Connolly in the General Election 2011 (#GE11). A Strong Voice for Connemara and Aran! "It is time for the council to 'get real' about Conamara and Arann. We need roads, the water, the sewage schemes, the public lights - and we need an end to the slow motion in Galway County Council""
News from 2004 and before! Comhaire Chontae na Gaillimhe (Co Council) agus Comhairleoirí Chonamara (Councillors).